In India the Rajasthan is one and only major desert honeymoon destination. The vast expanse of blue and green Oasis, Royal and majestic forts and Palaces there very own havelis, the museums of glorious past are some of the most attracted features for honeymoon couple. Board the flight to reach Udaipur. On arrival met by our representative and transfer to the prebooked hotel/resort located on the bank of lake. Welcome candle light dinner with stunning view of Lake Palace. Overnight at hotel/resort. After an leisure breakfast. 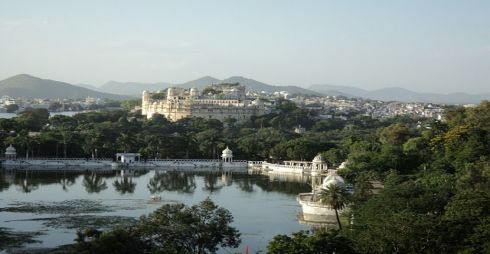 Porceed for sightseeing of city palace and Sahelion ki Badi. Later free time for personal activities. If you wish you can go for boating to reach on the many Island located inside the lake. Overnight at hotel/resort. After breakfast leave for Mount Abu. On arrival hotel check in. Later visit to Sunset Point the honeymooners favourite spot. Rest of the day at leisure to scroll through market places. Dinner and overnight at hotel. After breakfast visit to Dilwara Temple and Guru Shikhar. After noon enjoy boating on Nakki Lake. Overnight at hotel. After breakfast transferred to Udaipur or Abu Railway station to board the overnight train to New Delhi. Al tansfers and sightseeing by Indigo cr or similar as per itinerary. Any kind of personal expenes, gratituity, tips, insurance etc.